A while back, a coworker mentioned to me that he loved anything with butterscotch. 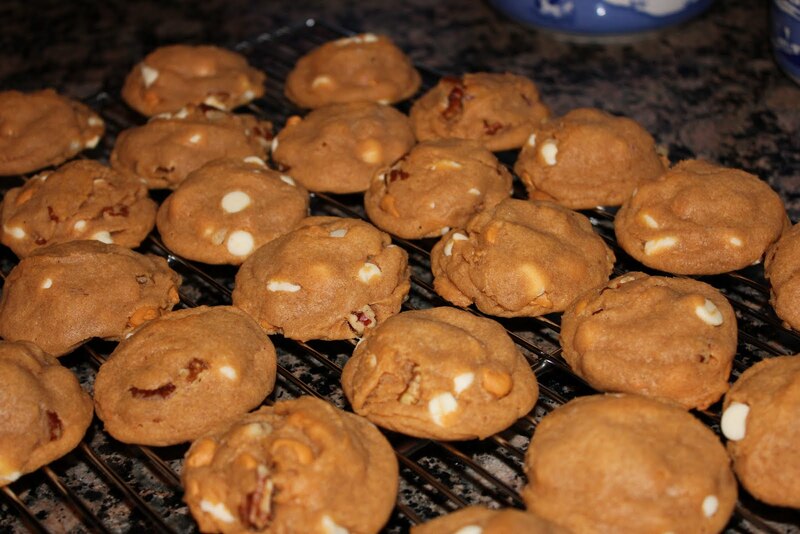 As you all know, I am a huge fan of “dream” cookies from Linda J. Amendt’s cookbook 400 Sensational Cookies. 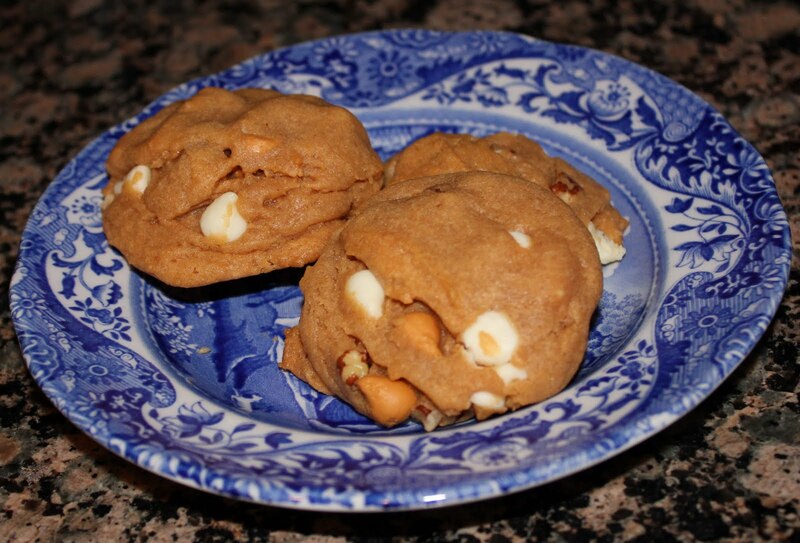 Out of the 400 cookies, there are about 20 different “dream” cookie combinations including butterscotch! How exciting, another opportunity for me to make dreams!! So, what did I think of these double butterscotch cookies? Of course they were delicious, however be forewarned…. they are extremely rich! You only need to eat one. 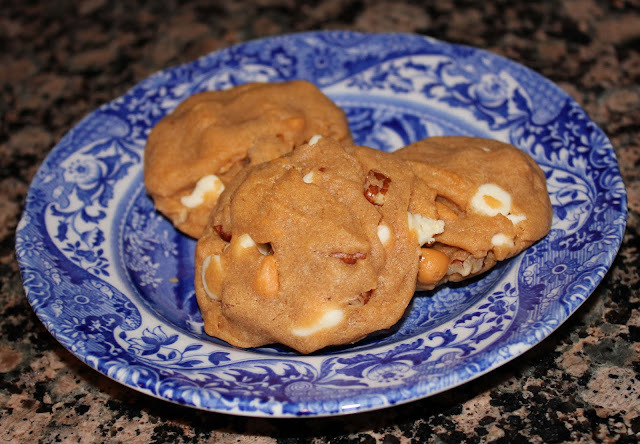 The butterscotch flavored pudding combined with the rich white chocolate and butterscotch chips creates for one sweet cookie. For some people, they may be too sweet. *Want to see all the “dream” recipes that I’ve tried? My favorite combination is chocolate chip, but you can’t go wrong with any of them! 2. In a bow, whisk together flour, pudding mix, baking powder, baking soda and salt until well combined. Set aside. 3. In a large bowl, using an electric mixer on medium speed, cream butter, shortening and brown sugar until light and fluffy, about 2 minutes. 4. Add eggs one at a time, beating well after each addition. Beat in vanilla. Scrape down sides of bowl. 5. On low speed or using a wooden spoon, gradually add flour mixture, beating until just blended. By hand, fold in chocolate/butterscotch chips and nuts. 6. Using a cookie scoop or spoons, drop tablespoonfuls (15 mL) of dough about 2 inches apart on prepared cookie sheets. Bake one sheet at a time in preheated oven for 8 to 10 minutes or until edges start to turn lightly golden. 7. Immediately slide parchment paper onto a wire cooking rack. Cool cookies for 5 minutes, then transfer from parchment paper to cooling rack and cool completely.